Slavisa Jokanovic has called on his Fulham players "to not cry so much" after being knocked out of the Carabao Cup courtesy of a 2-0 defeat by Manchester City. 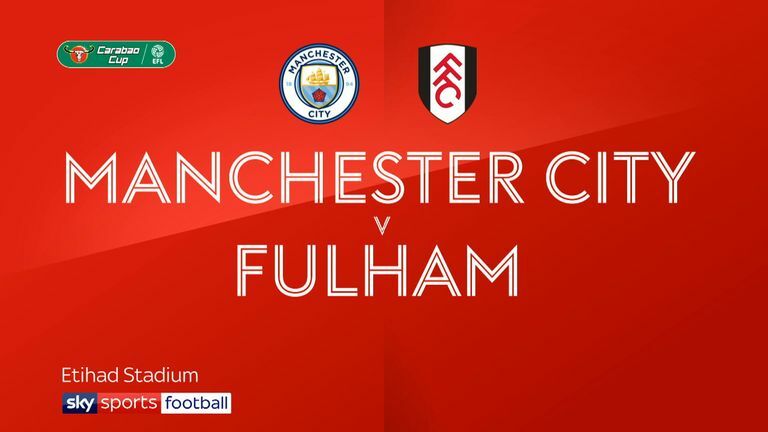 Brahim Diaz scored twice as in the fourth-round tie at the Etihad on Thursday night as the Cottagers slumped to a fifth successive loss in all competitions. Fulham are without a win since beating Millwall 3-1 in the previous round of the competition back in September, with the four league defeats since consigning them to bottom three. Jokanovic's side visit Huddersfield on the Monday Night Football in what is already shaping up to be a relegation six-pointer, but the Serbian believes his players are capable of turning around the current predicament. He told the club's official website: "This game served to show us that we can be a little bit more organised, make less mistakes, show we can be a team off the ball, too. "I believe in myself, I must believe in my team. We know it's not an easy job ahead of us, [but] it wasn't easy last season, the season before, or three seasons ago when we were fighting not to be relegated. "We need to not cry so much, and try to find a solution. We are in a situation where our supporters expect a better performance, and we are working in this direction." Fulham rarely threatened all night against Carabo Cup holders City with Aleksandar Mitrovic's shot wide in second-half stoppage time the closest they came to scoring. Jokanovic was unhappy to see his side knocked out of the competition, but added: "We made some positive things, we showed some better kind of the defensive organisation than in the past, and we continued our learning and improving process. "We played against City's second team, if I can call this a second team. In this team was [Kevin] De Bruyne, [Vincent] Kompany, [Gabriel] Jesus, and these kinds of players. "I'm unhappy with the result but some positives exist that I look at with optimism."